You can attain multi-media cabling support for the MOD HUB Series of active hubs by using the EXP Series of expansion modules. Coaxial cable, twisted-pair wire, and glass fiber optic cable can all operate on the same network by selecting the appropriate expansion module. 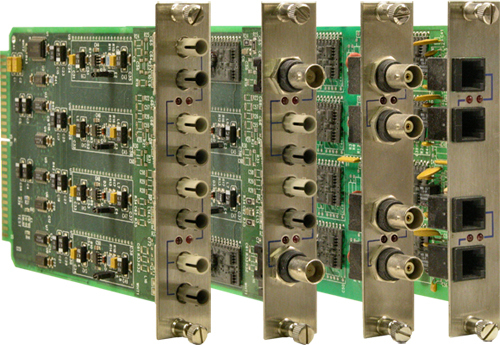 These modules support star and distributed star topologies (node-to-hub and hub-to-hub connections). However, bus segments can also be extended using expansion modules. * To view the Expansion Modules available for purchase, please visit the EXP product page. If you have questions about legacy products, please contact your regional office.